This article was written as part of a two-part series for Cosmos Magazine ahead of Science meets Parliament. 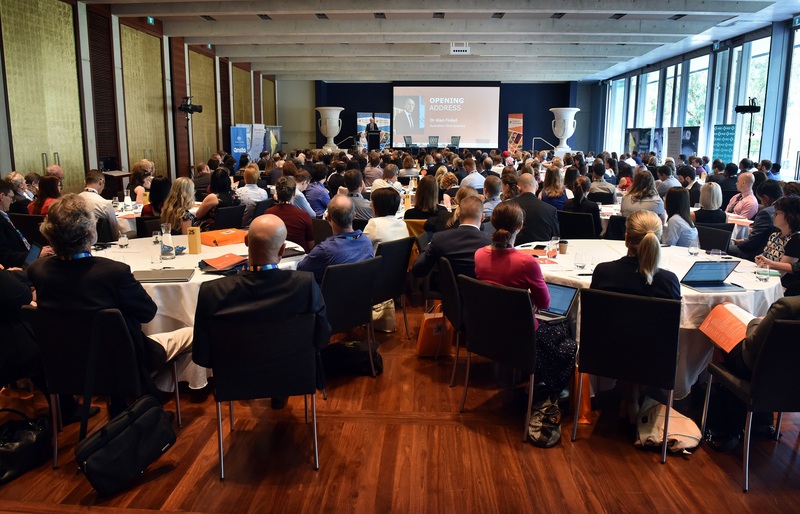 The event brings researchers to Canberra to meet with Parliamentarians, and in 2018 highlighted the value of investing in basic research. A $70 million upgrade to Australia’s most powerful supercomputer will make state of the art high performance computing (HPC) available to researchers around the country. In December 2017, the Australian government’s Mid Year Economic and Fiscal Outlook allocated $70 million for a replacement for the Raijin Supercomputer at the National Computational Infrastructure (NCI) facility in Canberra. The move was welcomed by scientists across the research community, as faster and more capable facilities mean researchers get quicker, cheaper, and more accurate results. HPC is transforming the research landscape, and has the potential to help tackle problems that were once almost impossible to solve. With applications across the board for a thriving, innovation-focused economy, the technology benefits researchers working in agriculture, cyber security, meteorology, geology, geographical science, health and so much more. Demand is high for access to this equipment, and in the last round of applications to use the facility, only 42% of the requested time on the NCI supercomputer was allocated. This was due to a sharp increase in demand for access, and the limitations of the aging technology. With the forthcoming upgrade, it is estimated that the time available for research will be increased up to 10-fold, due to the increased speed and processing power. With high calibre research infrastructure at their fingertips, Australian researchers have already made some exciting, world-first discoveries. Last year, researchers used some of the large satellite imagery collection stored at NCI to identify irregular grazing patterns on Queensland farms, as well as monitoring water flows in the Murray-Darling Basin and tracking bushfire risk over the course of the summer. Australia is also leading the way in weather modelling for the Asia Pacific region, with the Bureau of Meteorology using the NCI facility to test improved high-resolution models before rolling them out via its own dedicated HPC equipment. Advances in genomics, a field that uses gene sequences to understand, diagnose and treat disease, rely heavily on comprehensive analysis of complex data and genetic information. Genomics has the potential to transform the way we approach medical treatments in Australia, but progress is critically linked to access to HPC. Why was the funding needed? When the Raijin supercomputer was launched in 2012, it was ranked the 24th most powerful in the world. Now it sits at number 76, and that’s only thanks to some short-term upgrades conducted in 2016 after the facility fell out of the world’s top 100. The recent funding was provided just in time to ensure a replacement will up and running before the infrastructure reaches the end of its service life. With this latest investment, NCI will be able to provide more computing time to projects aimed at solving some of Australia’s – and the world’s – most complex problems. It is anticipated the upgrade will place NCI in the global top 25. The funding reflects an appreciation and understanding of this vital infrastructure within the halls of Parliament, and a respect for what science and technology have to offer, says Kylie Walker, CEO of Science & Technology Australia. “It’s imperative that decision makers understand how science and technology are contributing to the Australian community, and what the sector needs to continue to do so,” Ms Walker said.